I think it was Knitepoet who said he had good results with the Sierra 69 grain HPBT bullets. I poked around it seems to be the cats meow/bees knees for many shooters, especially outta ARs. If you shoot them what is your load? What was your results and what did you shoot them outta. They should work well from my bolt rifles too. Box says for 1-10 twist and faster. So I ordered some and will load them primarily for my Ruger MPR 5.56, but can shoot them from my Savage 12 BVSS and Rem 700 too. I read Varget works well which I have O/H. 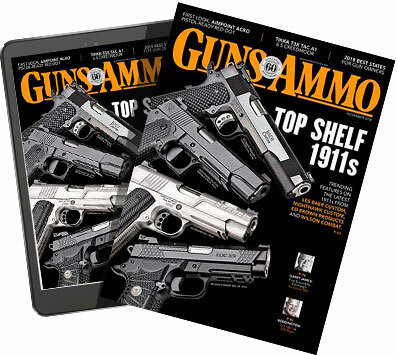 "Accuracy load in the Sierra manual for ARs is 25.3g of varget for the 69g SMK." 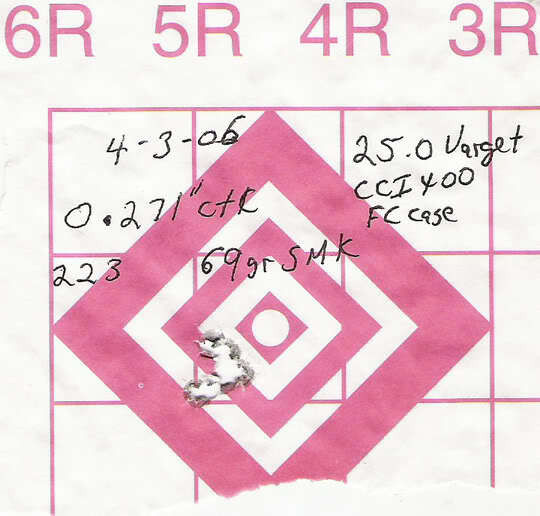 out of the AR, 24.5gr Varget under the 69gr Sierra match or Nosler CC with a CCI 41 to light it. If the stock nut is tight, MOAish for 2 and 300, but I think they are pushing for 600. They are OK, but I think a heavier bullet will serve better. I am currently moving to 77gr over 24gr Varget across the course hoping for a little more consistency at the longer ranges. Maybe it was Razor Core you mentioned Knitepoet, but have you ever tried the SMK 69 grainers? I like the 70 grain Barnes TSX over 24.5 grains of Varget with WInchester brass and primer, but I have not tried the Sierra. For paper punching, I use the 68 grain Hornady Match, over 25 grains of Varget and consistently get 0.5 MOA. The 70 grain Barnes gets almost as good, at the same sight setting. Yes, it was Razor Core I've mentioned recently. Looks like a great load. What rifle do you do that with?